Cigna, which failed in an attempt to merge with Anthem last year, is now going to purchase Express Scripts, the country’s largest pharmacy benefit management (PBM) firm, for $67 billion. Cigna will also assume about $15 million in Express Scripts debt. Cigna spokesmen say the merger will offer more choice for consumers, increased collaboration with providers and additional opportunities for personalization. The combined entity would retain the name Cigna, and Cigna’s headquarters in Bloomfield, Conn., will oversee the joint venture. Express Scripts will continue to operate in St. Louis. Cigna CEO David Cordani will become CEO of the joint venture, and Express Scripts CEO Tim Wentworth will continue as president of the PBM. The deal was approved by the boards of both companies and will include both stocks and cash. The Cigna-Express Scripts deal comes on the heels of a similar vertical merger, the one planned between CVS and Aetna. That deal, valued at $69 billion, would also combine one of the nation’s largest payers with a major PBM. Consumers advocates warn the CVS and Aetna deal could be anticompetitive and lead to fewer options for patients. However, both CVS and Aetna have pledged that the deal, if confirmed, would not lead to service restrictions. Medtronic (closed the $28 million acquisition of the Chocolate PTA non-drug-coated balloon made by QT Vascular at the end of January, after taking an option on the device almost a year ago. In February 2017 the companies signed a five-year deal calling for Medtronic to distribute the Chocolate PTA device. Last May, Medtronic agreed to the option deal on Chocolate PTA, which was triggered in part after QT Vascular successfully shifted production to a third-party contract manufacturer. The 2018 International Vein Congress (IVC) keynote address, titled “Data is King: To Measure Clinical Outcomes, to Shape Policy, for Payer Negotiations, for Peer Oversight and Governance,” will be given by Jack L. Cronenwett, MD, vascular surgeon at Dartmouth-Hitchcock Medical Center. IVC will also offer a multitude of other venous governance-related sessions to keep health policy in the minds of attendees throughout the conference. The conference will be April 19-21 in Miami Beach, Fla.
More than 100 hours of recorded sessions from the ACP’s 31st Annual Congress are now available. Improve patient care with the 2017 ACP Annual Congress session recordings, addressing topics covering the full range of vein care. If you pre-ordered the recordings in Austin, then you can now access them through your Online Education Center profile. To purchase, see http://acop.informz.net/z/cjUucD9taT03MjMxNjIyJnA9MSZ1PTEwNzM1MTI3NzgmbGk9NTA0OTg3Njk/index.html . Save the date: The next Australasian College of Phlebology Annual Scientific Meeting (ACP ASM) will be May 5-7, 2019 in Cairns. Photos from the 2018 UIP World Congress of Phlebology in Melbourne in February are available at phlebology.com.au/photoalbum/viewalbums/10?mc_cid=cf777d71e5&mc_eid=841f2d5110 . The American Hospital Association has named a longtime FBI official to a newly created role focusing on cybersecurity in healthcare. John Riggi, who served in various roles at the FBI over a 28-year career, will join AHA as a senior advisor for cybersecurity and risk, the association announced. During his time at the Cyber Division of the FBI, Riggi led a national program to foster industry partnerships and helped investigate cyberattacks against healthcare organizations. The cybersecurity post was created after discussions with member hospitals and state associations revealed hospitals needed more support and resources to prevent and respond to a growing number of cyberattacks. The Centers for Medicare & Medicaid Services (CMS) announced on Feb. 2 that it was not going to test the Direct Decision Support (DDS) Model. CMS is not moving forward with the DDS Model due to operational and technical issues with the proposed Model design. CMS determined that the design and operational changes necessary to continue with the DDS Model would be too significant and burdensome for participants, and would require a new solicitation. The Centers for Medicare & Medicaid Services (CMS) identifies strengthening beneficiary engagement as one of the agency’s goals to help transform our healthcare system into one that delivers better care, smarter spending, healthier people, and puts individuals at the center. Amid continued and anticipated losses, Endologix, a California-based developer and marketer of innovative treatments for aortic disorders, has announced that John McDermott is stepping down as the company’s CEO. He will remain in his current role until a successor is found. In a separate announcement, the company also released its financial results for the fourth quarter and fiscal year ended Dec. 31, 2017, stating the 2018 revenue is anticipated to be in the range of $170 million to $180 million, representing a decrease of 1 percent to 6 percent compared to 2017. Endologix anticipates 2018 GAAP loss in the range of $0.89 to 0.95 per share. The decrease continues from 2017, in which the company reported a net loss of $66.4 million, or $0.89 per share, compared to a net loss of $154.7 million or $1.91 per share for the year ended Dec. 31, 2016. 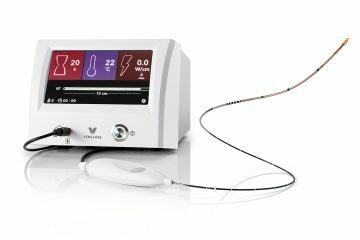 The Alto device incorporates several design enhancements that are intended to simplify the procedure and enable the system to treat a wider range of AAA anatomies than Ovation iX. The 75th and final patient was admitted recently after the trial was announced 11 months earlier. The company has also hired Greg Morrow as chief marketing officer. Conway—who took the helm at BCBSNC after stepping down from his post at the Centers for Medicare & Medicaid Services—said the organization reached its conclusion following a “thorough review of independent research” that showed consumer costs rise when health systems combine. There is research that supports Conway’s position. A 2016 study that examined mergers between hospitals that operate in the same state but serve different populations, found that such transactions raise prices by in 6-10 percent relative to control hospitals. Possibly of greater concern to BCBSNC, though, is the fact that the insurer will have decreased negotiating power with UNC and Carolinas if they combine. In fact, the health systems said when they announced their merger that the deal will allow them to negotiate better deals with payers. UNC Health Care also contended that the merger will allow the health system to reduce costs, improve patient outcomes and increase access to high quality care—especially for patients in rural North Carolina. BCBSNC’s opposition to the proposed merger comes at a time when merger-acquisition activity among the major payers has been quiet — save for CVS’ proposed purchase of Aetna. When the Aetna-Humana and Anthem-Cigna mergers were still pending, though, healthcare provider groups were vocal in their opposition. Two of the largest health systems in Winston-Salem, N.C. have merged medical records, allowing patients to access their information through a single My Chart portal. The campaign, advertised as “Happy Together,” paired medical records systems at Novant Health and Wake Forest Baptist Health. Although both health systems use Epic, patients were previously forced to maintain separate MyChart accounts for each system. As of Jan. 14, patients could access records at either system through a single account. Providers will also be able to access patient records in each system. Canon has crowned its 2016 $6 billion acquisition of Toshiba Medical Systems by officially changing the name of the group to Canon Medical Systems, effective Jan. 4. “Canon Medical Systems will continue to expand to accelerate the growth of the Canon Group’s medical equipment business and contribute to better health care throughout the world,” the company said in a statement. Since the deal happened in March 2016, a variety of regulatory approvals were needed to rename the global concern. The name change was initially announced in October 2017 and took place on Jan. 4 as originally scheduled. Canon acquired the unit, which does business in over 140 countries, from Toshiba through an unusually structured deal that drew some criticism at the time with initial objections from the EU, China and Japan. Penumbra Inc. has entered into a joint venture with Sixense Enterprises Inc. called MVI Health Inc. for the purpose of exploring healthcare applications of virtual reality technology . MVI Health represents a unique partnership that brings together Sixense Enterprises, a team with deep experience and capability in virtual reality technology, and Penumbra, an innovator in the healthcare industry that is focused on developing and commercializing novel medical therapies. In a November 2017 policy announcement, Walgreens has now directed its stores to allow men full and unrestricted access to women’s restrooms in all of its 8,100 stores. The stated intent of this policy is “to support transgender individuals in our stores and facilities and foster an environment of inclusion and mutual respect.” However, the policy came as the result of pressure by the ACLU of Southern California.